For over four decades Joyce has sought a vitality and innovation in his writing that continues to distinguish his poetry among national and international communities of poets. Here, formal constraint is an enabling device through which the chosen themes, ideas, and source texts are aligned and vivified. Joyce’s willingness to delineate these sources indicates a poetry always in excess of its constituent parts. Sources recur across collections and the notes that organize one poem become a palimpsest for another. Director and co-organizer of the SoundEye poetry festival since its inception in 1997, Joyce is a dynamic force in Irish poetry as it continues to change and evolve. Joyce was born in Dublin on October 26, 1947, and grew up in the city, spending summers with relatives in the Galway Gaeltacht. His literary heritage relates back to his great-granduncles, Robert Dwyer Joyce and Patrick Weston Joyce. Both men were eminent writers and collectors of Irish music whose influence is carried through in appropriations of their work in Joyce’s poetry. Joyce met Michael Smith in the mid-sixties and together they founded New Writers’ Press. The press provided a forum for young poets, national and international, whose work was not receiving an audience in an Irish publishing community preoccupied with the construction of Irish cultural identity. From the outset, NWP worked to make innovative poetry available to a wide audience through large print runs and low-cost production. Joyce’s Pentahedron (1972) serves as an example of the editors’ commitments with a combined total of 1200 hardback and paperback copies printed. In his opening address at the inaugural SoundEye festival in 1997, Joyce reflected on the aspirations of the Press, stating, “We certainly saw what we were doing as alternative to the status quo, but we never saw it as eccentric.” As well as publishing some of the most innovative poetry of the sixties and seventies, NWP was intrinsic to the recovery of Irish modernists of the thirties such as Brian Coffey, Thomas MacGreevy, and Niall Montgomery. Between 1967 and 1976 Joyce published four collections with NWP, Sole Glum Trek, Watches, Pentahedron, and The Poems of Sweeny Peregrine. In 1983 he visited the People’s Republic of China as a member of the Ireland-Chinese Cultural Society before moving from Dublin to Cork in the following year. After a nearly twenty-year hiatus, Joyce returned to publishing in 1995 with a collection titled stone floods which began a period of extraordinary productivity for the poet. Syzygy and Hellbox were published in 1998 and Without Asylum followed in 1999. In 2001, with the first dream of fire they hunt the cold appeared, a veritable “body of work” bringing together The Poems of Sweeney Peregrine, Pentahedron, stone floods, Hopeful Monsters, Trem Neul, and a variety of poems spanning the course of his writing career. 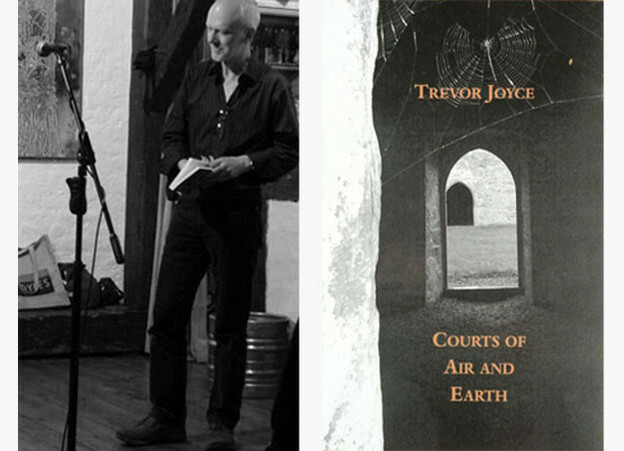 In 2007, Joyce published an extensive collection of new work titled What’s in Store and this was followed by Courts of Air and Earth in 2009 and The Immediate Future in 2013. Critical analysis by Keith Tuma, Nate Dorward, Alex Davis, Marcella Edwards, and John Goodby among others offers strategies for reading Joyce’s poetry. This scholarship attends to the poet’s place within the national literary history and European modernist tradition and also considers, among other things, the importance of translation, theory, and philosophy to his writing. 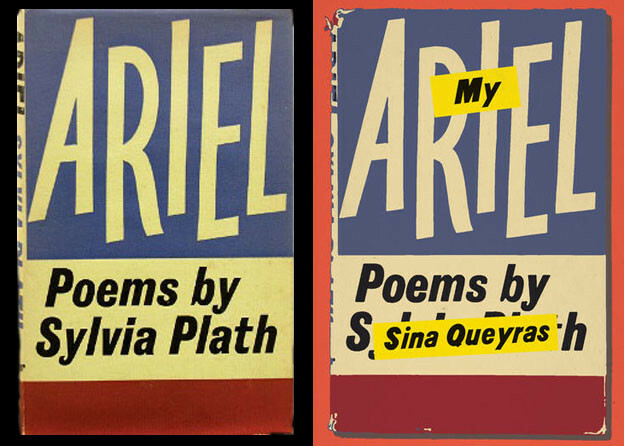 Such criticism did not always reach its deserved readership, either because of low print-runs or the ephemeral nature of poetry magazines and journals. The bibliography published with this essay consolidates that critical history and acknowledges the contribution of a variety of publishers to Joyce’s poetry. Since submitting the bibliography for publication several more references have emerged, and more will follow as Joyce continues to write and publish poetry.